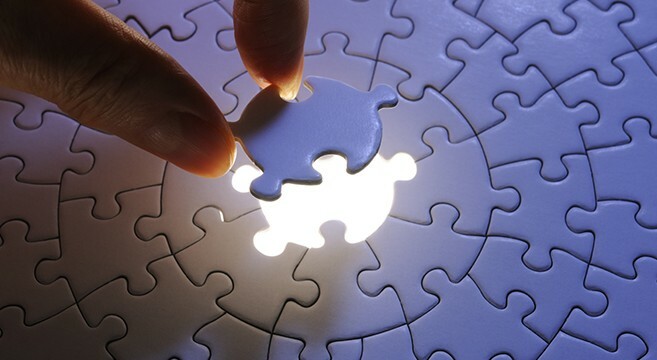 Whether we’re talking about crosswords, brain teasers, mechanical puzzles, or jigsaw puzzles, it’s a gratifying feeling to write that final letter, place that final piece, make the final twist/move/connection and unlock the solution. 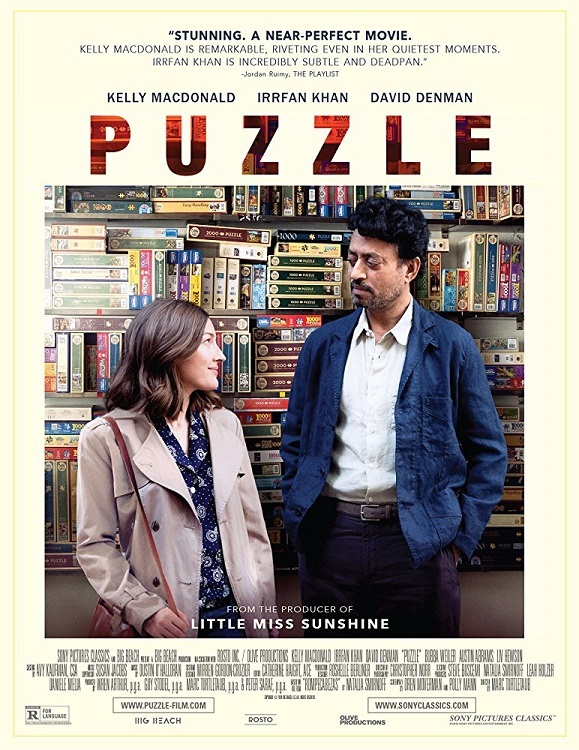 “When you complete a puzzle, you know you have made all the right choices.” That idea is at the heart of a new movie coming out next month entitled Puzzle. Agnes, taken for granted as a suburban mother, discovers a passion for solving jigsaw puzzles, which unexpectedly draws her into a new world – where her life unfolds in ways she could never have imagined. The film stars Kelly MacDonald (who you might know from Brave, Boardwalk Empire, Gosford Park, or Trainspotting), Irrfan Khan (Life of Pi, Slumdog Millionaire, In Treatment, and Jurassic World), and David Denman (The Office, Angel, 13 Hours, and Logan Lucky), but even from the brief glimpses offered in the trailer, this is clearly Kelly MacDonald’s show. Transitioning from a warm reception at Sundance to wider release in July and August, the film looks like a wonderful character piece, a nice bit of counterprogramming after the usual summer blockbuster fare. I’m looking forward to seeing the film when it’s released — it opens July 27th in select theaters — and I’ll write a full review for the blog when I do. But in the meantime, check out the trailer, and if you’re intrigued, spread the word.